You haven’t seen a movie until you’ve seen one in our Digital Cinema. Central PA’s biggest screen turns any movie into a total immersion experience. The screen itself is 38 feet high and 70 feet wide. That’s a full four stories tall! The powerful 5-channel, 20,000 watt surround sound system makes every film sound as big as it looks. From under the sea to outer space, educational films to Hollywood blockbusters, 2D to state-of-the-art 3D, our Digital Cinema makes every movie experience a moment to remember. 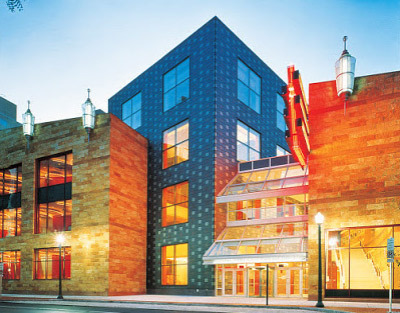 In an effort to ensure public and staff safety, Whitaker Center has established security measures. Further details may be found here. Named in honor of a generous gift from Select Medical.